One of my favourite makeup looks is this simple and summery style of bronzed and glowing skin paired with a bright red-orange lip. Lara always seems to pull it off perfectly! 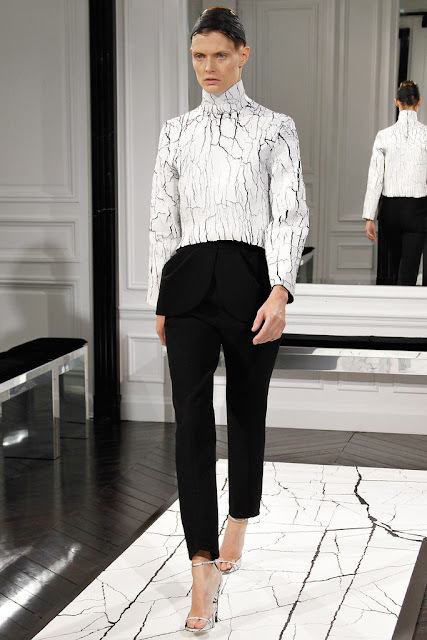 This is my simple and easy-to-follow interpretation of this look. You can just use whatever brand of products you have that are the closest to these, and you should get a pretty similar look! 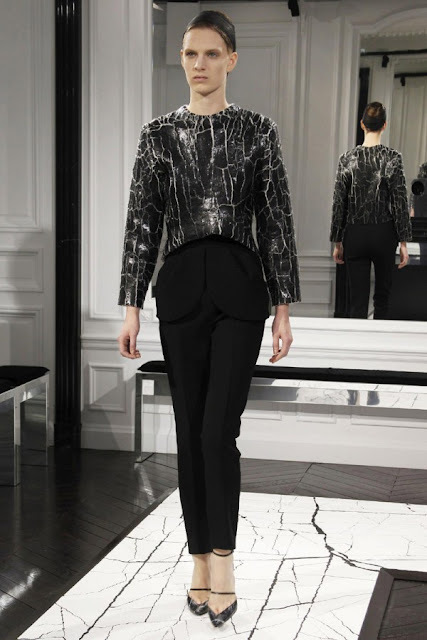 Alexander Wang made his debut for Balenciaga's Ready-to-wear Fall 2013 show at Paris Fashion Week. Such an incredible collection that I am absolutely obsessed with. What do you think of the cracked paint knits? 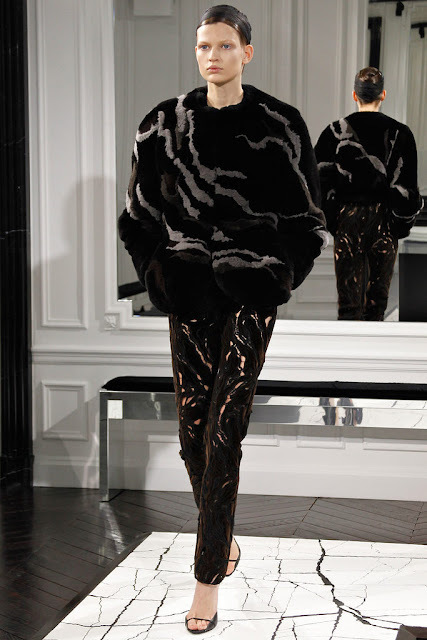 It's a bold move from Wang but i think it gives the collection the perfect amount of edginess. And don't miss all the amazing shoes! 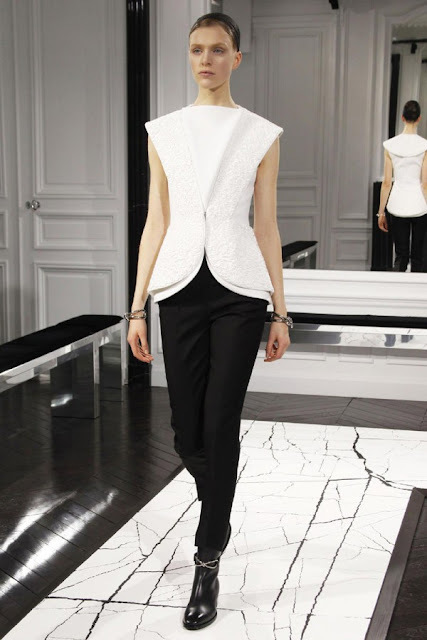 Loving the new Monochrome trend at the moment. I've always opted for a very simple and monochromatic style myself, so this new trend suits me well! Great thing about it also, is that no matter the occasion you can easily rock this look. My absolute no.1 style icon is VOGUE Australia's senior fashion director, Christina Centenera. She just gets it right every. single. time.